A tissue bank is accountable before the community in fulfilling the expectations of tissue donors, their families and recipients. The expected output from the altruistic donation is that safe and high quality human tissue grafts will be provided for the medical treatment of patients. Thus, undertakings of tissue banks have to be not only authorised and audited by national competent health care authorities, but also comply with a strong ethical code, a code of practices and ethical principles. 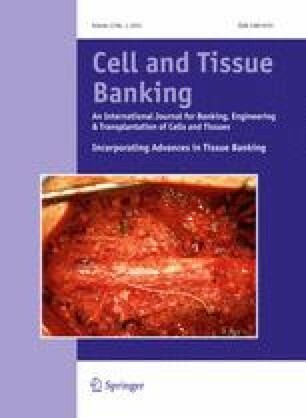 Ethical practice in the field of tissue banking requires the setting of principles, the identification of possible deviations and the establishment of mechanisms that will detect and hinder abuses that may occur during the procurement, processing and distribution of human tissues for transplantation. The opinions and suggestions manifested by the authors in this paper may not be necessarily a reflection of those within the institutions or community they are linked to.